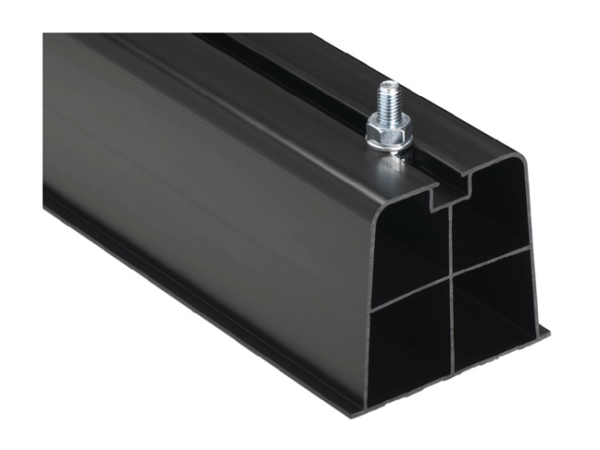 Unit Mounting Blocks are manufactured from reinforced PVC making them light weight, 100% rust free and UV stabilised. Anti-slip strips on the blocks base along with the supplied fixings make the blocks quick and simple to install. The blocks reduce vibration and are suitable for mounting air conditioning units and domestic air source heat pumps. Available in 450mm and 1m lengths. The blocks have a safe working load of 240kg. End caps are available to provide a professional finish.